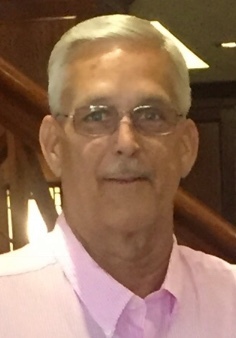 Hallsboro-- Brian Keith Grimmett, 54, passed away Saturday, July 28, 2018 at Lower Cape Fear Hospice and LifeCare Center in Whiteville from complications of Liver Cancer. Keith was the son of Brenda Henry Gordon and Richard Ethan Grimmett. He was born March 3, 1964 in Richmond, Va.
Keith was predeceased by his grandfather, Ed Henry; grandparents, Jimmie and Violet Grimmett; infant daughter, Molly Grimmett; and fur babies, Marlee and Shug. Keith was a proud alumnus of Boys Home of North Carolina at Lake Waccamaw. While residing there, he formed many life-long friendships. He attended Hallsboro High School, where he played football and was a member and soloist of the Boys Home Choir. Keith spent most of his working years employed by several large companies in the construction/painting/roofing industry. Keith was a professional’s professional. He took great pride in his work as a master carpenter and was highly skilled in many aspects of the construction, painting and roofing industry. Keith had many personal interests. He was an avid UNC basketball fan and loved many genres of music, especially country and bluegrass. He had a vast knowledge of antiques, specifically old tools and pottery. He especially enjoyed Farm Days at Lake Waccamaw. Keith had a passion for food. He was an excellent cook. Keith’s number one passion was fishing. He was happiest when he was fishing. After his liver cancer diagnosis in December 2017, he made plans for several “dream come true” fishing excursions to various locations, however, the side effects and rapid progression of his illness prevented him from taking the trips. If you fish, next time you go fishing ~ wet a line for Keith! A memorial service to celebrate Keith’s life will be held at 11 a.m. Aug. 11 at English Road Baptist Church in High Point with Rev. Jim Summey and Mr. Logi Mecham officiating. Another memorial service will be held at 2 p.m. Aug. 12 in the Chapel of the Boys and Girls Homes of North Carolina’s Lake Waccamaw Campus with Rev. Dr. Fred Senter, officiating. Also speaking are Mr. George Beasley and Mr. Gary Faircloth. A time of visitation and fellowship will follow each service. Worthington Funeral Home in Chadbourn is serving the family. Keith is survived by his mother, Brenda Henry Gordon of Greensboro; father, Richard Grimmett and wife, Sandy, of Thomasville; daughter, Hannah Nicole Grimmett of Archdale, who he loved with all his heart. Keith’s fondest memories with Hannah include their trips to Destin, Fla., especially parasailing and deep sea fishing. Also surviving are two sisters, Audra Springer of Georgia and Kimberly Dilldine and husband, Rick, of Thomasville; two brothers Craig Grimmett and wife, Angie, of Archdale, Russell Grimmett and wife, Tammie, of Lexington; grandmother, Virginia Henry of High Point; three aunts, Cathy Johnson of Durham, Mona Link of Lexington, Marcia Lawter of Salisbury; two uncles, Dale Grimmett of Tyro and Darrell Grimmett of Churchland. Also surviving are nieces, Emily Springer Reed, husband Chris, and their children, Addyson Grace and Bellamy Grey of Georgia, Lindsay Paige Grimmett of Archdale, Beth Grimmett and Summer Dilldine of Thomasville; as well as nephews, Rev. Christopher Grimmett and wife, Kate, of Winston Salem, Harrison Springer of Georgia and Caleb Dilldine of Thomasville. Keith is also survived by fiancé Debbie Dew of Hallsboro, her daughters, Brandie Brown and Crystal Cartrette and husband, Michael. Keith loved Debbie’s grandchildren, Henry, Tell, Dillon and Taylor, as if they were his own. He is also survived by numerous cousins and his fur babies, Scoot and Pyrate. Keith had more friends than can ever be counted. He made friends easily and was a loyal friend. Memorial donations may be made in Keith’s memory to Boys and Girls Homes of North Carolina, P.O. Box 127, Lake Waccamaw, N.C. 28450.